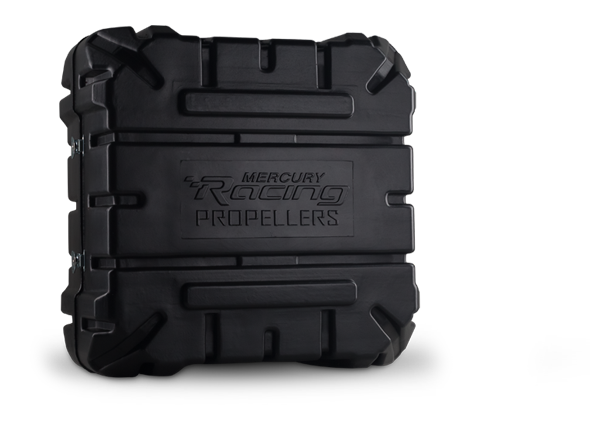 Mercury Racing knows the investment their customers make in racing props, so the new case for their CNC Cleaver propellers had to not only protect, but also had to look great. 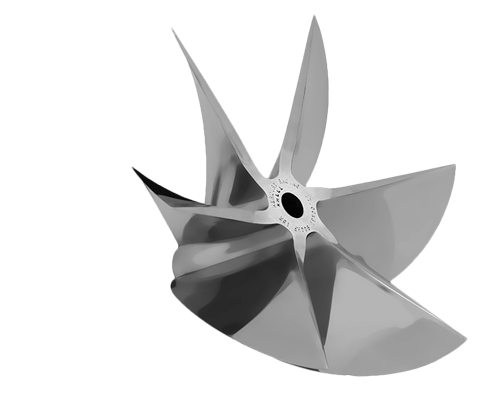 Mercury Racing manufactures and sells marine racing propellers and has been in the business of speed since the 70s. They approached Allied Plastics for a Thermoform custom case for their five and six-blade CNC Cleaver propellers designed for sterndrives. These are high-end, glossy, precision props designed for enthusiastic racers with discerning taste. Mercury wanted to offer an after-market case specific to the five and six-blade props for existing owners and make the same case a value-added inclusion to new buyers. Not only did the case have to fit the propellers perfectly (preventing shifting during transit), it had to be durable and look the part of durable storage for high-end racing equipment. Previous cases simply hadn’t been able to provide the protection these props require. Together with the Mercury in-house design team, a completely new Plastic Thermoform case was designed. By considering the props’ shapes and structures, we took the ideas from the past cases and the proposed ideas Mercury showed us. The CNC Cleavers are too cool for a case that could hold just “anything”, so we explored a military look and feel. Our designers realized that a double-walled composite Thermoformed case would provide the durability and the versatility in design that the Mercury products required. A nylon dowel and receiver were the key to keeping the prop in place with the interlocking action between top and bottom of the case. 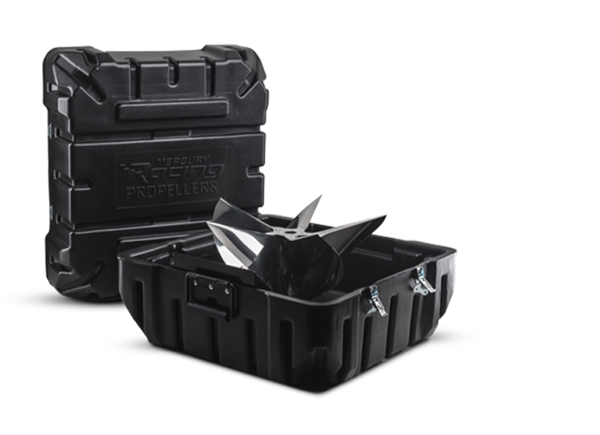 A lining of high-density foam protects the propeller from any impact against the top of the case while holding it tight. By incorporating four steel clasps and a receding handle, the case stays secure regardless of how rough the ride is across thousands of miles. All this sounds ideal, but until we completed a specific shipping test that included some real world bumps, it was just a nice idea. After rigorous testing, the Thermoformed Plastic propeller case passed with flying colors and we chalked that up to the specifically designed channels and ribs that not only provide visual interest, but also provided additional durability along with other aesthetic aspects. On top of all this was that Allied Plastics was able to Thermoform a superior case with a lower cost than the competition and previous cases.